For other uses, see Nanaimo (disambiguation). Nanaimo /nəˈnaɪmoʊ/ (Canada 2016 Census population 90,504) is a city on the east coast of Vancouver Island in British Columbia, Canada. It is known as "The Harbour City". The city was previously known as the "Hub City", which has been attributed to its original layout design where the streets radiated out from the shoreline like the spokes of a wagon wheel, as well as its generally centralized location on Vancouver Island. Nanaimo is also the headquarters of the Regional District of Nanaimo. The Indigenous peoples of the area that is now known as Nanaimo are the Snuneymuxw. An anglicised spelling and pronunciation of that word gave the city its current name. The first Europeans to find Nanaimo Bay were those of the 1791 Spanish voyage of Juan Carrasco, under the command of Francisco de Eliza. They gave it the name Bocas de Winthuysen. Nanaimo began as a trading post in the early 19th century. In 1849, the Snuneymuxw chief Ki-et-sa-kun ("Coal Tyee") informed the Hudson's Bay Company of coal in the area. Exploration proved there was plenty of it in the area and Nanaimo became chiefly known for the export of coal. In 1853 the company built the Nanaimo Bastion, which has been preserved and is a popular tourist destination in the downtown area. Hudson's Bay Company employee Robert Dunsmuir helped establish coal mines in the Nanaimo harbour area and later mined in Nanaimo as one of the first independent miners. In 1869 Dunsmuir discovered coal several miles North of Nanaimo at Wellington, and subsequently created the company Dunsmuir and Diggle Ltd so he could acquire crown land and finance the startup of what became the Wellington Colliery. With the success of Dunsmuir and Diggle and the Wellington Colliery, Dunsmuir expanded his operations to include steam railways. Dunsmuir sold Wellington Coal through its Departure Bay docks, while competing Nanaimo coal was sold by the London-based Vancouver Coal Company through the Nanaimo docks. The gassy qualities of the coal which made it valuable also made it dangerous. The 1887 Nanaimo Mine Explosion killed 150 miners and was described as the largest man-made explosion until the Halifax Explosion. Another 100 men died in another explosion the next year. An Internment camp for Ukrainian detainees, many of them local, was set up at a Provincial jail in Nanaimo from September 1914 to September 1915. In the 1940s, lumber supplanted coal as the main business although Minetown Days are still celebrated in the neighbouring community of Lantzville. The city has been called "The Harbour City" since the lead up to Expo 86. Nanaimo has had a succession of four distinct Chinatowns. The first, founded during the gold rush years of the 1860s, was the third largest in British Columbia. In 1884, because of mounting racial tensions related to the Dunsmuir coal company's hiring of Chinese strikebreakers, the company helped move Chinatown to a location outside city limits. In 1908, when two Chinese entrepreneurs bought the site and tried to raise rents, in response, and with the help of 4,000 shareholders from across Canada, the community combined forces and bought the site for the third Chinatown at a new location, focused on Pine Street. That third Chinatown, by then mostly derelict, burned down on 30 September 1960. A fourth Chinatown, also called Lower Chinatown or "new town", boomed for a while in the 1920s on Machleary Street. Aerial photo of downtown and central Nanaimo and adjacent islands. Located on the east coast of Vancouver Island, Nanaimo is about 110 km northwest of Victoria, and 55 km west of Vancouver, separated by the Strait of Georgia, and linked to Vancouver via the Horseshoe Bay BC Ferries terminal in West Vancouver and the Duke Point terminal to the Tsawwassen ferry terminal in Tsawwassen. As the site of the main ferry terminal, Nanaimo is the gateway to many other destinations both on the northern part of the island—Tofino, Comox Valley, Parksville, Campbell River, Port Alberni, Rathtrevor Beach Provincial Park—and off its coast—Newcastle Island, Protection Island, Gabriola Island, Valdes Island, and many other of the Gulf Islands. Buttertubs Marsh is a bird sanctuary located in the middle of the city. The marsh covers approximately 100 acres (40 hectares). Within this is the 46 acre (18.7 hectare) "Buttertubs Marsh Conservation Area", owned by the Nature Trust of British Columbia. Like much of coastal British Columbia, Nanaimo experiences a temperate climate with mild, rainy winters and cool, dry summers. Due to its relatively dry summers, the Köppen climate classification places it at the northernmost limits of the Csb or cool-summer Mediterranean zone. Other climate classification systems, such as Trewartha, place it firmly in the Oceanic zone (Do). Nanaimo is usually shielded from the Aleutian Low’s influence by the mountains of central Vancouver Island, so that summers are unusually dry for its latitude and location—though summer drying as a trend is found in the immediate lee of the coastal ranges as far north as Skagway, Alaska. Heavy snowfall does occasionally occur during winter, with a record daily total of 0.74 metres (29.13 in) on 12 February 1975, but the mean maximum cover is only 0.2 metres (7.9 in). The highest temperature ever recorded in Nanaimo was 40.6 °C (105 °F) on 16 July 1941. The coldest temperature ever recorded was −20.0 °C (−4 °F) on 30 December 1968. Nanaimo is served by three airports: Nanaimo Airport (YCD) with services to Vancouver (YVR), Toronto (YYZ) and Calgary (YYC); Nanaimo Harbour Water Airport with services to Vancouver harbour, Vancouver Airport (YVR South Terminal) and Sechelt; and Nanaimo/Long Lake Water Airport. Nanaimo also has three BC Ferry terminals located at Departure Bay, Duke Point, and downtown. The downtown terminal services Gabriola Island while Departure Bay and Duke Point service Horseshoe Bay and Tsawwassen respectively. A private passenger ferry operates between Nanaimo Harbour and Protection Island. A seasonal passenger ferry operates between Swy-a-Lana Lagoon and Newcastle Island. Highways 1, 19 and 19A traverse the city. Bus service in the city is provided by Nanaimo Regional Transit. The Nanaimo Port Authority operates the inner Harbour Basin marina providing mooring for smaller vessels and the W. E. Mills Landing and Marina providing mooring for larger vessels. The Port Authority also operates two terminal facilities one at Assembly Wharf (near the downtown core) and the second at Duke Point for cargo operations. In 2011 the Authority completed the addition of a $22 Million Cruise Ship Terminal at Assembly Wharf capable of handling large cruise ships including providing Canada Border Services Agency clearance. The 2011 Canadian Census reported that Nanaimo had a population of 83,810, a 6.5% increase since 2006. The size of the city's land area is 91.30 km², making the population density 918.0 people per km². The average age of a Nanaimoite is 44.8 years old, higher than the national median at 40.6. The average number of people occupying one dwelling in the city is 2.3 people. In Nanaimo, there are 38,800 private dwellings, 36,204 which are occupied by usual residents (93.3% occupancy rate). The median value of these dwellings are $348,460, which is a fair-bit higher than the national median at $280,552. The average (after-tax) household income in Nanaimo is $48,469, slightly lower than the national median at $54,089. The median individual income is $27,620, which is also a bit lower than the national median ($29,878). The unemployment rate was 9.2%. More than half of Nanaimo's residents do not practice any religion (51.7%), considerably higher than the national ratio (23.9%). However, for those who do participate in religions, most are of a Christian faith (44.7%), but there are still sizable Sikh communities (1.1%) and Buddhist communities (0.6%). Nanaimo's population is predominately Anglophone. According to the 2011 Census 88.6% of the population reported English only as mother tongue, 1.4% reported French only, and 9.1% reported only a non-official language. The original economic driver was coal mining; however, the forestry industry supplanted it in the early 1960s with the building of the MacMillan Bloedel pulp mill at Harmac in 1958, named after Harvey MacMillan. Today the pulp mill is owned by the employees and local investors and injects well over half a million dollars a day into the local economy. The largest employer is the provincial government. The service, retail and tourism industries are also big contributors to the local economy. Technological development on Nanaimo has been growing with companies such as "Inuktun" and the establishment of government-funded Innovation Island as a site to help Nanaimo-based technological start ups by giving them access to tools, education and venture capital. The average sale price of houses in Nanaimo for 2011 was approximately $350,000. A recent surge of higher-density real estate development, centred in the Old City/Downtown area, as well as construction of a city-funded waterfront conference centre, has proven controversial. Proponents of these developments argue that they will bolster the city's economy, while critics worry that they will block waterfront views and increase traffic congestion. Concerns have also been raised about the waterfront conference centre's construction running over its proposed budget. Nanaimo has also been experiencing job growth in the technology sector. Nanaimo is served by two newspapers—the Harbour City Star with approximately 37,000 copies once per week, and the Nanaimo News Bulletin (33,000 copies twice a week—audited), which is owned by Black Press. On 29 January 2016, its third newspaper, the 141-year old Nanaimo Daily News, shut down. Nanaimo also hosts a bureau for CIVI-DT (CTV Two Victoria, cable channel 12) and a satellite office for CHEK-DT (Independent, cable channel 6). Nanaimo is also served by the Jim Pattison Group's CHWF-FM (The Wolf) and CKWV-FM (The Wave), as well as CHLY-FM, an independent community campus radio station and Vista Radio's CKAY-FM (Coast FM). CBC Radio One is heard over CBU from Vancouver, providing Nanaimo with local programming from Vancouver instead of from Victoria. In the House of Commons of Canada, Nanaimo is represented by Sheila Malcolmson of the New Democratic Party, representing the riding of Nanaimo—Ladysmith. 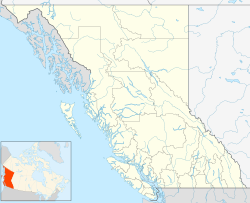 The city was split into two separate ridings, Nanaimo—Cowichan (Jean Crowder, New Democratic Party), which includes South Nanaimo and Cassidy, and Nanaimo—Alberni (James Lunney, Independent elected as a Conservative), which includes North Nanaimo and Lantzville, until the 2012 federal electoral redistribution. In the Legislative Assembly of British Columbia, Nanaimo is represented by the ridings of Nanaimo (Leonard Krog, British Columbia New Democratic Party), Nanaimo-North Cowichan (Doug Routley, British Columbia New Democratic Party), and Nanaimo-Parksville (Michelle Stilwell, British Columbia Liberal Party) Leonard Krog resigned in 2018 to accept the position of Mayor of Nanaimo. In response, Sheila Malcolmson resigned from Federal politics and successfully ran for the vacated position. The mayor of Nanaimo is currently Leonard Krog, who replaced Bill Mackay in 2018. The most well-known mayor Nanaimo ever had was Frank J. Ney, who instigated Nanaimo's well-known bathtub races, which he regularly attended dressed as a pirate. There is a statue to commemorate Ney—dressed in his pirate costume—at Swy-a-Lana Lagoon, which is on the Nanaimo waterfront. Ney was also an MLA for the Social Credit party while he was also mayor. An elementary school has been named in his honour. Mark Bate became Nanaimo's first mayor in 1875. He served an additional 15 1-year terms as mayor (1875–1879, 1881–1886, 1888–1889, and 1898–1900). The city's planning department has, over the past five years,[when?] steadily produced enough municipal data to warrant a Time magazine article on open-government. Nanaimo has been dubbed "the capital of Google Earth". Working directly with Google, the city fed it a wealth of information about its buildings, property lines, utilities and streets. The result is earth.nanaimo.ca, a wealth of city data viewed through the Google Earth 3D mapping program. Their Open Data Catalogue is available at data.nanaimo.ca. Nanaimo has over 30 elementary and secondary schools, most of which are public and are operated by School District 68 Nanaimo-Ladysmith. Aspengrove School is a JrK-grade 12 Independent (private) school accredited as an International Baccalaureate World School and offers the IB Primary Years, IB Middle Years and IB Diploma programme and received a 10 out of 10 by the IB Organization (IBO) in 2011. The Conseil scolaire francophone de la Colombie-Britannique operates two Francophone schools, école Océane primary school and the école secondaire de Nanaimo. The main campus of Vancouver Island University is located in Nanaimo, which brings many international students, mostly East Asian, to the city. The Nanaimo Museum is a public historical museum located downtown on the traditional territory of the Snuneymuxw First Nation at 100 Museum Way. The Vancouver Island Military Museum is a public military historical museum located at 100 Cameron Road. The Port Theatre in downtown Nanaimo hosts many performers and shows during the year. Smaller, local theatre companies such as In Other Words Theatre, Western Edge Theatre and Schmooze Productions perform at the Nanaimo Centre Stage. Nanaimo also began running a fringe theatre festival in 2011. A huge component of the underground music scene in Nanaimo is from the student body of Vancouver Island University. The Nanaimo Blues Society has organized and presented five Summertime Blues festivals. These outdoor blues festivals have been held in downtown Nanaimo featuring local, provincial, national and internationally renowned blues musicians. The Nanaimo Concert Band, known as the oldest continuous community band in Canada, was established in 1872. They maintain a regular schedule of concerts. The Nanaimo Conservatory of Music, a non-profit, charitable organization has been offering classical music lessons and producing concerts since 1977. Other prominent musicians in Nanaimo include classical trumpeter Paul Rathke and jazz composer and author Andrew Homzy. The Nanaimo bar, which is a no-bake cookie bar with custard filling, is a Canadian dessert named after Nanaimo. Nanaimo hosts the annual Nanaimo Marine Festival. Part of the festival includes the bathtub race. The race starts in the Nanaimo harbour downtown, goes around Entrance Island, north west to Winchelsea Islands by Nanoose Bay and finish in Departure Bay back in Nanaimo. Until the 1990s the race alternated between racing from Nanaimo to Vancouver and from Vancouver to Nanaimo. Nanaimo is home to the largest sports club on Vancouver Island, Nanaimo United Football Club. NUFC is home to over 1700 members, and is one of the oldest sports clubs in Canada (formed in 1903). Nanaimo is home to North America's first legal, purpose-made bungee jumping bridge, operated by WildPlay Element Parks. Nanaimo is home to the Canadian Junior Football League's Vancouver Island Raiders, who play at Caledonia Park. Nanaimo is home to the British Columbia Hockey League's Nanaimo Clippers and to the Western Lacrosse Association's Nanaimo Timbermen, both of which play at the Frank Crane Arena. Nanaimo is home to the Nanaimo Buccaneers of the Vancouver Island Junior Hockey League, who play at the Nanaimo Ice Centre. The Nanaimo Pirates, of the B.C. Premier Baseball League (BCPBL), play at Serauxmen Stadium. Football Nanaimo plays at Pioneer Park. Nanaimo is home to the Senior A lacrosse team the Timbermen of the Western Lacrosse Association. Nanaimo is also home to the Junior A Timbermen and the Intermediate A Timbermen. Nanaimo is home to the Nanaimo Hornets Rugby Football Club. Is part of the British Columbia Rugby Union, Established in 1888 is the second oldest Rugby Club in Western Canada, Home ground and club is situated in Pioneer Park since 1968. ^ "Nanaimo Municipal Hall". City of Nanaimo. Retrieved 4 April 2009. ^ "Population and dwelling counts, for Canada, provinces and territories, and population centres, 2011 and 2006 censuses: British Columbia". Statistics Canada. Retrieved 31 August 2017. ^ a b "Nanaimo's Historical Development" (PDF). Retrieved 18 October 2016. ^ "Internment Camps in Canada during the First and Second World Wars, Library and Archives Canada". ^ a b "Introduction" (Archive). Nanaimo Chinatowns Project, Malaspina University-College. Retrieved on 15 February 2015. ^ "Chinese Community" (Archive). Vancouver Island University. Retrieved on 15 February 2015. ^ Kottek, M.; J. Grieser; C. Beck; B. Rudolf; F. Rubel (2006). "World Map of the Köppen–Geiger climate classification updated". Meteorol. Z. 15 (3): 259–263. doi:10.1127/0941-2948/2006/0130. Retrieved 15 February 2007. ^ "GLOBAL ECOLOGICAL ZONING FOR THE GLOBAL FOREST RESOURCES ASSESSMENT 2000". fao.org. ^ a b "July 1941". Canadian Climate Data. Environment Canada. Retrieved 24 June 2016. ^ a b "Nanaimo A". Canadian Climate Normals 1981–2010. Environment Canada. Retrieved 14 May 2014. ^ "January 1893". Canadian Climate Data. Environment Canada. Retrieved 24 June 2016. ^ "February 1893". Canadian Climate Data. Environment Canada. Retrieved 24 June 2016. ^ "April 2016". Canadian Climate Data. Environment Canada. Retrieved 24 June 2016. ^ "Nanaimo Port Authority". Retrieved 27 April 2013. ^ "Nanaimo cruise ship terminal nearing completion Vancouver Sun". Retrieved 27 April 2013. ^ Statistics Canada. "Focus on Geography Series, 2011 Census: Census agglomeration of Nanaimo, British Columbia". Retrieved 20 November 2015. ^ "Innovation Island - Business, Science & Technology Resources, Vancouver Island". innovationisland.ca. ^ "Nanaimo real estate profile. - Move To Nanaimo". movetonanaimo.com. ^ "Nanaimo Daily News to cease operations Jan. 29". Nanaimo Daily News. Retrieved 3 June 2016. ^ "Frank J. Ney Fonds". Nanaimo Archives. Retrieved 9 March 2018. ^ Shaw, Rob (10 March 2008). "Postcard from Nanaimo: How Google Earth Ate Our Town". Time. Retrieved 27 August 2009. ^ "Carte des écoles". Conseil scolaire francophone de la Colombie-Britanique. Retrieved on 22 January 2015. ^ "Nanaimo Art Gallery—Home". Retrieved 26 October 2010. ^ "The Port Theater—Index". Retrieved 26 October 2010. ^ "Nanaimo Arts Council". Retrieved 26 October 2010. ^ "Vancouver Island University Jazz Programme". ^ "Ziplining & Bungee Jumping". hellobc.com. 5 May 2013. ^ "First Legal Bridge Bungy in North America - Wild Play Element Parks Nanaimo, Nanaimo Traveller Reviews - TripAdvisor". tripadvisor.ca. ^ Extreme high and low temperatures are from Nanaimo (January 1892 to February 1947) and Nanaimo Airport (March 1947 to present). Wikimedia Commons has media related to Nanaimo, British Columbia. Wikivoyage has a travel guide for Nanaimo.